3 Days: Zoo Mystery finds five of the world`s most unique animals stolen! Help Anna track down and return these rare animals to her uncle`s zoo. The ultra-picky zoo inspectors are on their way, so you will only have three days to solve this mystery and save the zoo. 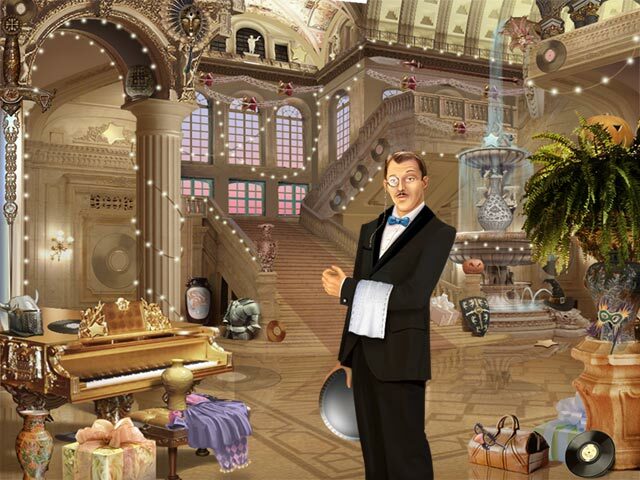 This Hidden Object Adventure game is full of challenging minigames and dark secrets. Will you be able to capture the crook and save the family zoo? 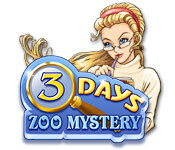 3 Days: Zoo Mystery is rated 4.2 out of 5 by 25. Rated 5 out of 5 by Swheetpets from Great game for all ages I thoroughly enjoyed this HOG! It was a nice diversion to all the dark HOGs that BFG offers. Grant it I'm able to get AARP but I enjoy a good murder mystery. This game gave me a rest from that type of game. I was also able to replay and enjoy the game with my 10 year old nephew. Please try the game if you're looking for a change of pace or you want to introduce the younger generation to the world of HOGs! Rated 5 out of 5 by janecote253 from Fave Big Fish Game! This is the one game of all 20 I have bought from Big Fish that I play again & again. I loved that not all of the puzzles were hidden object - I feel this game offers the most diverse amount of puzzles.I also think it is the longest game I have purchased from them - which is is a plus in my book. It's truly for all ages: my 5 year old daughter & my 15 year old son love it too. My one comment is that the graphics are a bit simple caompared to most big fish games. Rated 4 out of 5 by rosekaufmann from GREAT SOUND EFFECTS; FUN FOR OR WITH KIDS This is a fun game and is suitable to play with young children. The dialogue is written. The graphics are simple but perfectly acceptable. You have HOS (not too crowded - I liked finding objects per sketches and the multiples). Puzzles are interesting and fun to play. If you do get stuck, you can switch to a HOS. 27 levels with several locations (buildings) to search per level. You don't get lost because only the searchable locations are available. You get a new set of locations to search for each level (although the buildings may or may not be the same). Liked the unusual sound effects (ex: find a number of cats and you get a meow each time you collect a cat). SUMMARY: If you like a light-hearted game, especially if you want to get one that children can play by themselves or with you. Note you can turn the tips off if you like, but younger children will probably like them. Rated 4 out of 5 by pennmom36 from The Monkey Did It! 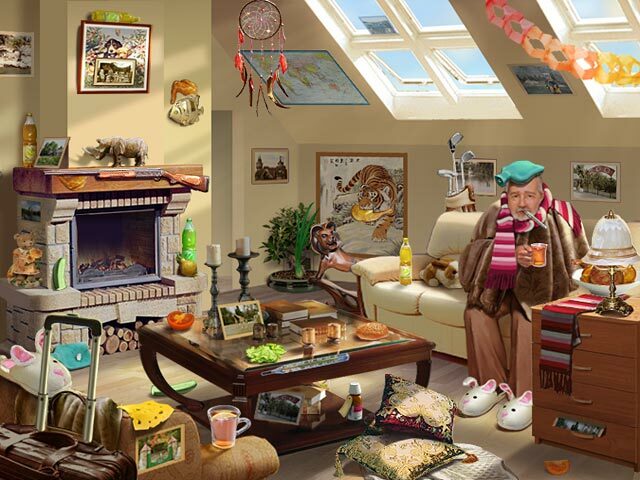 This is a cute hidden object game with lot's of interactions. Uncle Ben is in China and someone has stolen some of the animals so Anna agrees to find them before the inspection in just 3 days! You are able to move some items as you search for various items in each scene. My favorite mini game was trying to pick up keys from the bottom of the piranha tank with a fishing pole and magnet but as the key raised up, if it touched a piranha, he would snap at it and it would fall to the bottom again. This game also allows you to replay the puzzles. Rated 4 out of 5 by Billybadass4018 from A great game! Lots of puzzles and HOS comprise this game. It is a fun game with fun plot. My only complaint is that it is a little repetitive with the puzzles and HOS. Thankfully there is a wide variety of puzzles to keep you interested. The puzzles are moderately difficult. It was sometimes hard to spot the objects. The art is clean and simple. Overall not the game is not in my top twenty but it's still a fun game. Rated 4 out of 5 by MEnr56 from NICE, EASY-GOING GAME I found this game a nice change from the dark, eerie games; this is a bright and light game to play with somewhat easy puzzles to play. If you're not able or don't want to complete any of the puzzles, you just need to click on the ? mark (which is the hint button) and it'll ask you if you want to play a hidden object game in which you're directed to a playroom to search for 8 items. 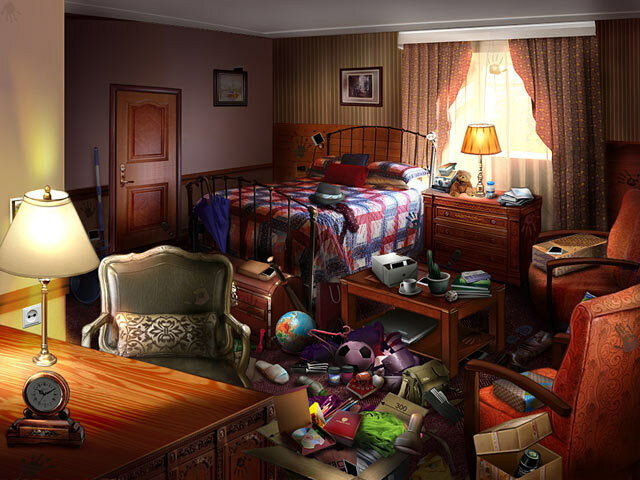 This room will ALWAYS be the hidden object scene game play so if you skip more than 1 puzzle during the course of playing this game, this is the room you'll always see making it easy and quick to complete. Rated 4 out of 5 by LPERM from Nice simple HOG adventure Sometimes you just want a simple HOG game that you can play for awhile and leave then come back to and not have to remember why you are carrying around all the stuff. This one is plenty simple and the mini-games are easy. It is silly but fun. Rated 4 out of 5 by fei1jao from Lots of fun I just finished the trial. It is a very fun game that is refreshing from all the dark HO games. I thoroughly enjoyed it and after the trial purchased it. As one other reviewer said it is a game you can play over and over again. It is my pleasure to do so. Rated 4 out of 5 by jmcbeauty from Demo only This game is very cute. It is filled with mini games and hidden objects. It is any one of the original games I played and even though the games have become more sophisticated and with more complex story lines, this game is an easy way to pass the time. Yes, it is a cartoon based game but it is still has charm and fun. Rated 4 out of 5 by bossychick from Lots of mini games Nothing would really compel you to keep playing this game if it weren't for the amount of mini games being constantly thrown at you, which in my eyes is a good thing. The mini games are pretty challenging at times too. If you like lots of mini games more than a storyline then this game is for you! Rated 3 out of 5 by katyabird11 from Needs work on giving directions but good game I had to keep reading the journal as directions where not clear when given a task. I liked the games you had to do in order to solve the case. the hidden item part could have had better graphics. it was difficult to see the items. fun game but i will not purchase it. Rated 3 out of 5 by bep1 from Didn't care for it. I finished this game, but I was really bored and couldn't wait for it to end. Piles of items to find, over and over, and some you couldn't really see. All kinds of tedious puzzles, and things to do before you could even question a suspect. I expected some animal interaction because of the title, but there was none. The graphics and sound were ok. There are just a lot more interesting games out there. Rated 3 out of 5 by rbjust4games from Timekiller at Best Played it twice over a few months. 27 levels. I got seriously bored by level 20. To try and cure my boredom, they made some of the objects so small or ingrained into something else, that I was not only bored, but annoyed. If I had this much difficulty on a 21" screen, can only imagine the frustration trying to find things on smaller screens. Puzzles on levels 17 and 23 (confirmed in forum) were both missing a piece, forcing you to skip and do an alternate HOG. I would really rate a 2.50 due to the glitch and burying some items in the later levels. Rated 2 out of 5 by baba247 from 3 Days Zoo Mystery This is ok if your just a beginner at Big Fish, so I don't reccomend it to anyone who has been playing for more than 6 months. Its deafintly one from the earlier days for Big Fish because the games now are so much better. So if your a beginner this is a game for you enjoy.